I’m sure someone told the ad agency to make the bread seem “modern” and “scientific” and in the fifties and sixties, that meant “put a rocket in it.” If you want to read a brilliant account of how the space race came to pervade advertising of the time, check out Megan Prellinger’s book Another Science Fiction: Advertising the Space Race 1957-1962 . I really enjoyed it. …with the Taste that takes off to new heights! The darling of the Slim Set… it’s daring, it’s different, it’s the only bread baked with 8 great vegetable flours and NO shortening! Choose from light or dark… Each with a winning flavor all its own and a taste that takes off to new heights. The only nationally advertised bread of its kind. 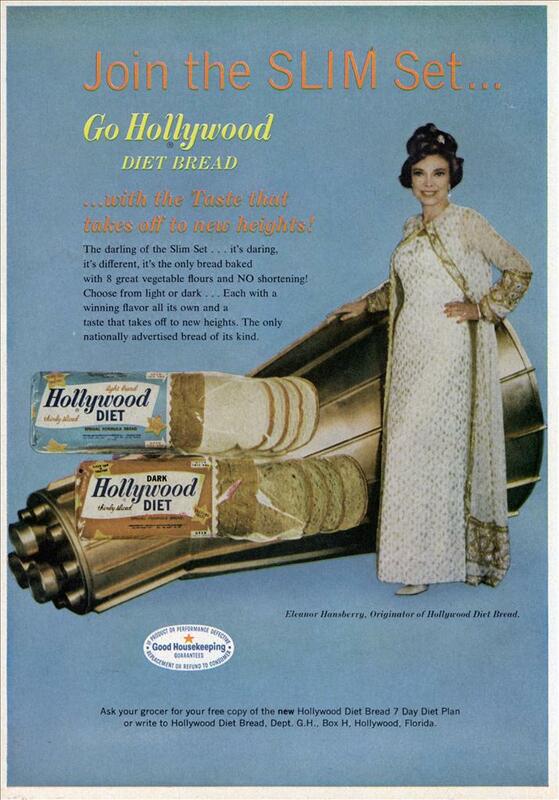 Ask your grocer for your free copy of the new Hollywood Diet Bread 7 Day Diet Plan or write to Hollywood Diet Bread, Dept. G.H., Box H, Hollywood, Florida. Hollywood Bread has shuffled off this mortal coil. The FTC objected to their advertising. It’s like the old joke of the waiter asking if the customer wants his pizza sliced into 6 or 8 slices. The customer says to better make it six since he doesn’t think that he can eat eight. After that the company was toast. Figured I’d get that in before anyone else did. Elanor’s going for the “budget Liz Taylor” look, it seems. Overall, a cool ad. Toronto: Not really, check out line 11 of the link I provided. Seemed reasonable? Advertisers love that attitude. Is that thing supposed to be a space capsule? Looks as bogus as the bread. 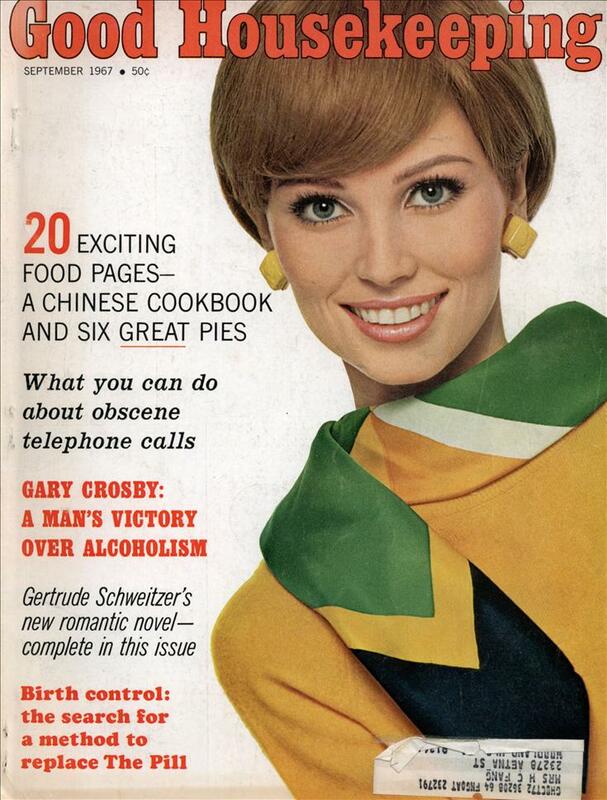 Hey, Good Housekeeping gave it the seal of approval. Must be good or I get a refund. Right? Mabye I’ve heard wrong but wasn’t this bread made with sawdust? Hirudinea: Different product. That was Fresh Horizons bread in 1977 and it wasn’t sawdust.